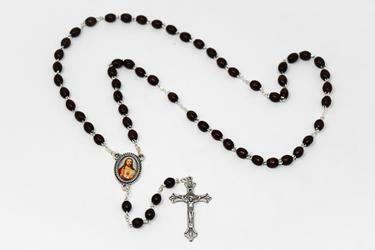 Sacred Heart of Jesus Brown Wooden Rosary Beads. 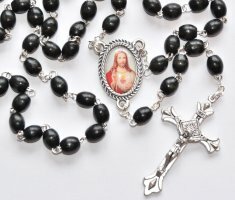 Sacred Heart of Jesus Black Wooden Rosary Beads. Sacred Heart of Jesus Bronze Holy Water Font. Sacred Heart of Jesus Statue & Candleholder with Tea Light. 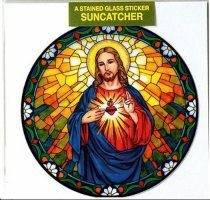 Sacred Heart of Jesus Sun Catcher Window Sticker. 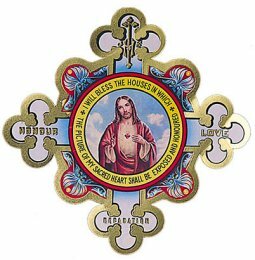 Sacred Heart of Jesus House Blessing Wall Plaque. Sacred Heart of Jesus 8" Resin Statue. A Florentine Sacred Heart of Jesus Statue. Sacred Heart of Jesus Holy Water Font Hand Painted. Sacred Heart of Jesus Holy Water Font, with Lourdes Water. 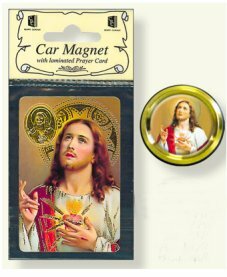 Sacred Heart of Jesus Car Magnet & Prayer Card. 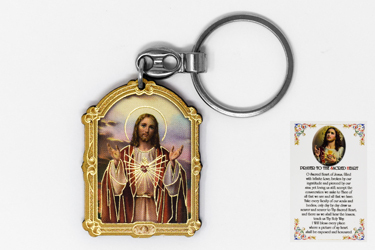 Sacred Heart of Jesus Key Chain & Prayer Card. 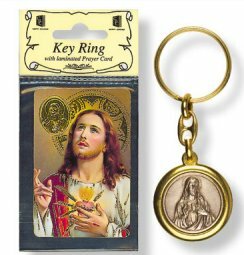 Sacred Heart of Jesus Key Ring & Prayer Card Set. 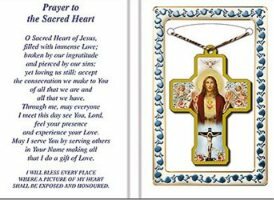 Sacred Heart of Jesus Rosary & Prayer Card with Medal. Sacred Heart of Jesus Rosary in a Perspex Box. Sacred Heart of Jesus Rosary & Novena Book. Sacred Heart of Jesus Door Shield. Sacred Heart of Jesus Pillar Candle.